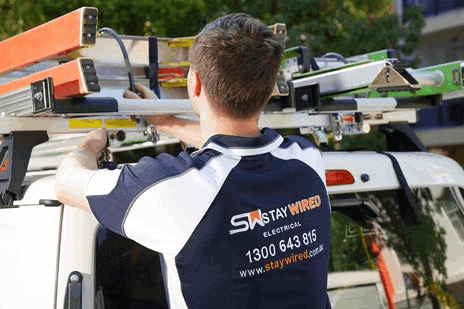 Staywired Electrical are a true local business, having provided a Parramatta electrician team for more than 20 years. Our electrician Parramatta team pride themselves on having an efficient, reliable service, and being a local business, you know it’s a name you can trust. Our Parramatta electrician provides domestic and commercial electrical support in all its facets. We keep our skills up to date with the latest technology and all our electrician Parramatta team are fully licensed and insured. We specialise in high quality, safe and cost effective electrical installations right across Parramatta and the surrounding suburbs. Staywired Electrical employs only the most qualified electrician Parramatta team that Sydney has to offer, ready to provide first rate electrical repairs you will be happy with. Our aim is to provide the highest quality electrical installations for homes and businesses that are on time, are left clean and tidy with friendly, professional advice at a price that suits your budget. We are also proud to offer our emergency Parramatta electrician with 7 days a weeks, 24 hour per day service. When you need quick service from a Parramatta electrician, without the hassle of waiting for a Sydney Electrician, your one stop electrician Parramatta will be with you quickly any time of the day or night to fix power outages, exposed wires or electrical damage. Simply call our Staywired 24-hour electrical helpline and our Parramatta electrician team will be there to help. Staywired Electrical is more than happy to speak with you about any of your Parramatta electrician needs.